OSWEGO, NY – Joseph A. 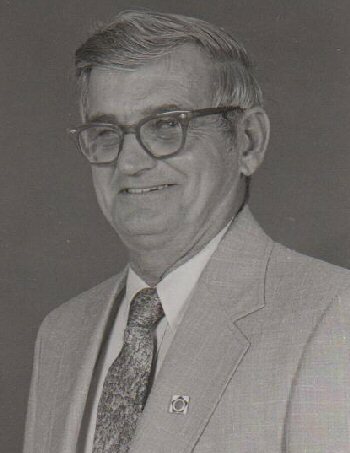 “Smokey” Osetek, 87, of Oswego, died Monday January 21, 2013, in Oswego Hospital. Mr. Osetek was born in Oswego, the son of the late Antoni and Catherine (Tencza) Osetek. He was predeceased by his stepfather, Andrew Kalinowski; brothers, John, Stanley and Frank Osetek; sisters, Helen Osetek, Wanda Sczupak and Connie Kalinowski. Mr. Osetek was educated in local schools and he attended various technical schools, receiving I.C.S. certification in combustion engineering. He participated in labor relation seminars where he received certification in labor relations. Mr. Osetek was a service engineer at Ames Iron Works and Fitzgibbons Boiler works, before becoming a NYS Boiler inspector for many years until his retirement in 1992 as a NYS Senior Boiler Inspector. He was a lifelong parishioner of St. Stephen the King Parish. Mr. Osetek served as Oswego County Legislator representing the seventh ward in the city of Oswego from 1972 until 1995 and he was a member of Oswego County Board of Health and Community Service Board from 1984 until 2012. He enjoyed golfing, fishing and hunting. Mr. Osetek is survived by his wife of 54 years, Diane (Heagerty) Osetek of Oswego; children, Gregory (Judith) Osetek of Oswego and Julia (John) Schwaller of Florida; grandsons, Benjamin Joseph Schwaller, Andrew and Alexander Osetek; and several nieces and nephews. Funeral services will be conducted Saturday 10 a.m. at St. Stephen the King Church, Oswego, where a Mass of Christian Burial will be celebrated. In lieu of flowers, contributions may be made in Mr. Osetek’s name to St. Stephen the King Church Building Fund, 138 Niagara St., Oswego, NY 13126.